Detroit-area pastors and leaders together in July. 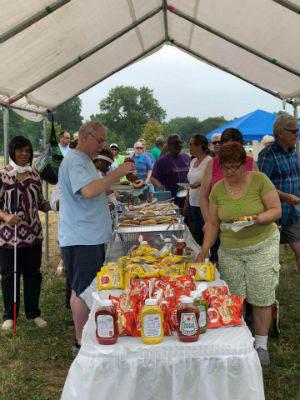 Editor’s note—The Detroit, Michigan, metropolitan area is home to more than twenty Church of God congregations. 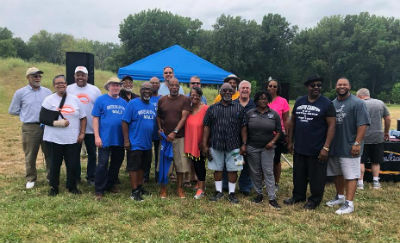 While much of contemporary society seems to be looking for more reasons to divide, local Church of God pastors and laypeople of these churches are actively seeking ways to unite. They already have one reason to unite, and his name is Jesus. Of course, Jesus is the subject for these congregations, and they’re demonstrating once again this summer the power of uniting under the Name above all names. In January, we told the story of their efforts, and we’re blessed to report their pursuit of unity continues. It was a genuine family reunion! It was a wonderful way to spend a summer day. There was swimming, games, basketball, bike riding—whatever a family might do on a day like this. But the event was more than just fun and food. Area pastors Kerene Covington, Mark Coffman, and Jacob Kakish presented homilies on the topic of unity, using Psalm 133:1. New relationships were formed and existing relationships were strengthened. Other groups sat together and discussed ways to work together to bring unity in the church and beyond. Our next event will be our Mass Revival, with ministers Matthew Quainoo on October 17, 18, and 19, and Leo Robinson Jr. on the 20th and 21st. Our theme, “Building Generational Bridges,” will focus on mutual understanding among the generations in our churches. Our host is Pastor Mark Coffman and Evanswood Church of God in Troy, Michigan. To learn more about Ministers and Laity United (MALU), please visit our Facebook page at https://www.facebook.com/MALUCHOG/. 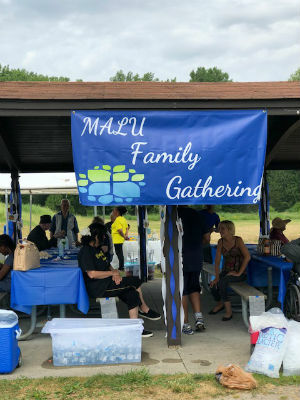 This entry was posted in All Church of God, Great Lakes and tagged Albert Grant, Church of God of Detroit, Detroit, family of God, fellowship, functional unity, MALU, MI, Michigan, Ministers and Laity United, networking, picnic, uniting, unity. Bookmark the permalink.